Keratoconus is an eye disease that is caused by thinning and bulging of the corneas. In milder cases, it requires glasses or contacts to treat, and in more severe cases, it may require other treatment or even surgery. Here at Lakeside Eye Associates, your optometrist in Huntersville, one of the things that we screen for routinely is keratoconus. Because keratoconus causes a misshapen cornea, which is similar to what causes myopia and astigmatism, the earliest stages of the condition have a lot in common with these two diagnoses. Blurred vision is the main symptom at this point. Other things that people with keratoconus may notice are glare and increased sensitivity to light. Symptoms get worse as the condition progresses, and the condition does tend to progress. People are not entirely sure why keratoconus occurs and why it occurs more often in some groups than others. Men, people of Latin American descent, and people with a family history of the condition are more likely to be diagnosed with keratoconus. Most people are diagnosed in their teens or twenties. Modern research suggests that a lack of protective enzymes in the eye may be responsible for keratoconus. Without these enzymes, damage from UV radiation and other sources may cause the cornea to thin. Although early-stage patients may be able to be treated with only glasses or soft contact lenses, a later-stage disease typically requires other options. The least invasive treatment options for keratoconus include hard gas permeable (GP) contact lenses, large scleral lenses that cover more of the eye, and hybrid contact lenses that combine soft edges for comfort with a hard center for sharper vision. Some patients may be able to get custom-fitted soft contact lenses that are made to conform to the contours of their eye. If these options no longer work, patients can receive treatment such as intacs or corneal transplant. Intacs are surgically-implanted devices that are placed around the edges of the cornea to help support a more normal shape. In cases where vision cannot be restored to an acceptable level using other methods, a corneal transplant may be used. There are also several new or experimental treatments that may potentially help keratoconus patients. Here at Lakeside Eye Associates, we screen for and treat patients with various stages of keratoconus. 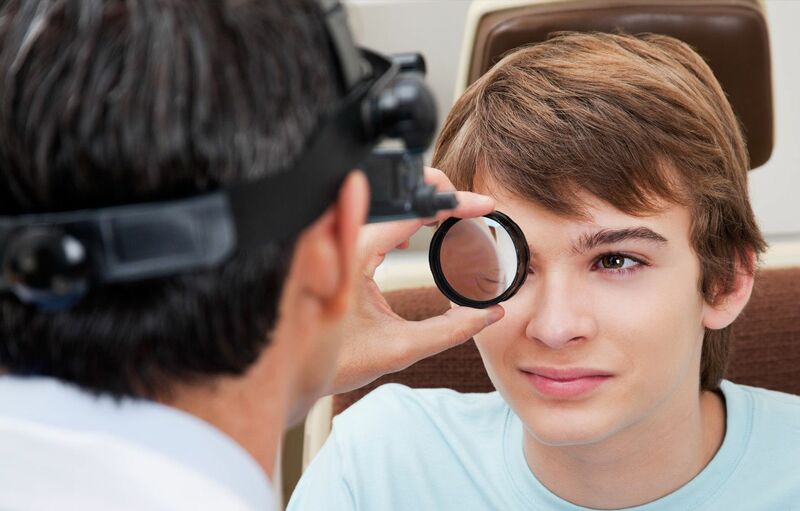 Because patients who have keratoconus often have a rapidly-changing prescription, it is important that they see our optometrist in Huntersville regularly. Some treatment methods also work better when used at an earlier stage of the disease, which makes screening especially important. To make an appointment, call (704) 457-7300.